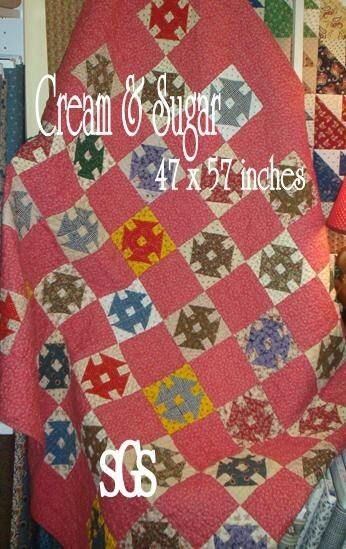 Cream & Sugar pattern is 47 x 57 inches. It has clear directions printed in black and white. Pattern uses a variety of civil war prints and a bubblegum pink. More great purchases from Sweetgirlstudio! Lovely pattern, easy enough for this novice, but could be for the experienced quilter as well. Great price, and downloaded well and quickly. Always pleased.